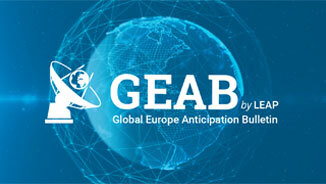 Even though this GEAB bulletin is optimistic and sees the end of the transition tunnel focused on peace in the Middle East, we shall keep our warning of the last two months: remain covered until the end of the year! We are in the middle of a global geopolitical reconfiguration era, and the risks of manoeuvre spinout are very high. So, even if you see gold going down, do not sell right now, keep your safe haven a bit longer in your investment portfolio. But get ready to move on those future values ​​of the up-coming world after.